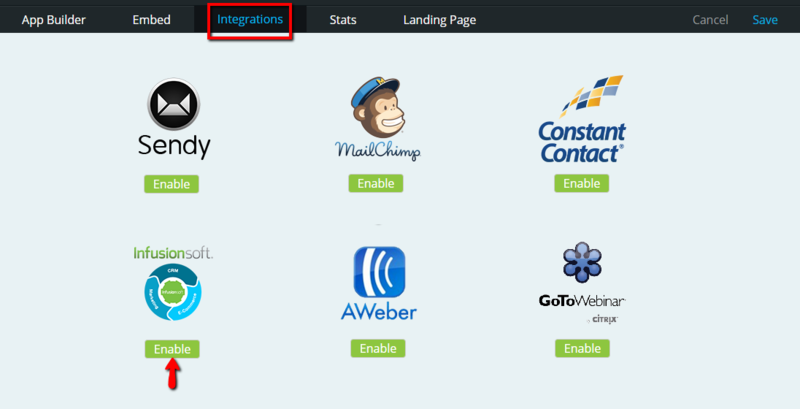 On the Integrations tab, click on Enable button below Infusionsoft icon. 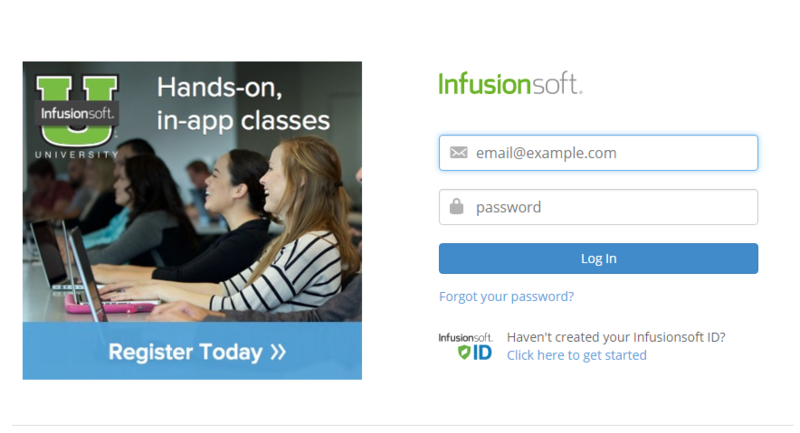 A pop-up window will open that will prompt you to enter the login details of your Infusionsoft account. After accomplishing the details asked, click on Log In button. 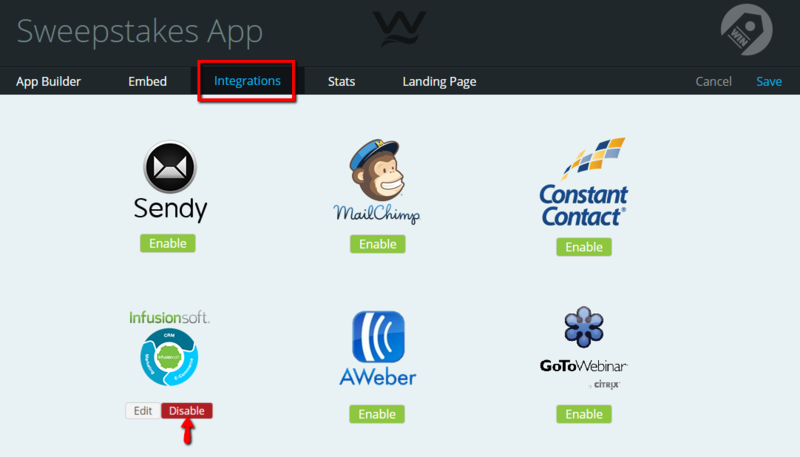 You can disable Infusionsoft on your app by clicking Disable button, or edit your account information by clicking Edit. Don't forget to click Save (found on the upper right) after every change you made.